Scholarships: The School of Public Affairs supports its students through several available Scholarships. Learn more about the scholarships offered through the school, and help support our students. Institute for Innovative Governance: develop applied research solutions for public policy and governance challenges that focus on innovative and entrepreneurial strategies. Active Transportation Research: Active Transportation Research (ATR) focuses on providing research and planning services in the area of bicycle and pedestrian travel and facilities. Jack McGrory Public Affairs Internship Coordinator Fund: this scholarship applies to undergraduates in the Public Administration major and to graduate level students in the Master of Public Administration program. Project Rebound: we are committed to demonstrating the central importance and the possibility of meeting the needs of our students, who often face a broad array of challenges that have until now, caused them to be left behind. Refugee-American Fund: the experiences of refugees in the US, through a collaboration of performance/art, media studies, and policy discussions that brings together students, nonprofit partners, and faculty within PSFA. 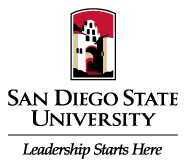 Student Success Fund in Public Affairs: San Diego State University will continue to focus on Student Success by emphasizing high-impact practices that produce transformational educational experiences and by fostering an institutional culture that recognizes and rewards student achievement.